We’d love your help. Let us know what’s wrong with this preview of Somewhere Bound by Fiona Keane. To ask other readers questions about Somewhere Bound, please sign up. 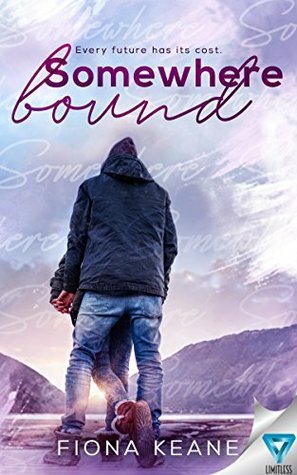 Somewhere Bound is book three is the Foundlings series. It can not be read as a standalone, you must read the first two before reading this one. Sophia and Jameson are really great and interesting characters. Their story sucked me in from beginning to end. There was a time I wanted to yell at the characters because I was scared for them but the things I was worried about really turned out not to be bad. I never really know what was going to happen next and I liked that. This one was 4 1/2 Stars! As a 3 book series, 5 Stars!! What an awesome series! This series from Fiona Keane has literally kept me on the edge of my seat the entire time. These are the first books that I have read from this author, and I am so impressed! I’m so happy that I waited to read them until all three were released. I loved the conclusion and the growing connection between Jameson and Sophia. I will admit that there were times in Somewhere Bound that I wish Sophia’s character would have been a little stronger. I f As a 3 book series, 5 Stars!! What an awesome series! This series from Fiona Keane has literally kept me on the edge of my seat the entire time. These are the first books that I have read from this author, and I am so impressed! I’m so happy that I waited to read them until all three were released. I loved the conclusion and the growing connection between Jameson and Sophia. I will admit that there were times in Somewhere Bound that I wish Sophia’s character would have been a little stronger. I felt that when she needed to buck up a little, Jameson had to baby her just a bit. It was nothing that would change my impression of the story, I just know that I had a harder time with Sophia this time around. Other than that, I think this series is one that everyone should be reading! I really enjoyed it, and I’m excited to see what’s next for Fiona Keane! I NEED A 4TH BOOK!! Why does every YA book I read lately leave me desperately yearning for that HEA? I need to know Jameson and Sophia don’t get caught for doing you know what, that Sophia finds out Lucas is you know who and that Jameson and Sophia get married (trying to avoid spoilers!). If there is to be a 4th book in this ‘trilogy’(😅) then the ending is awesome, leaves me wanting more; if there’s no 4th book, the ending is rubbish, it leaves me needing more. So the series came to its end and how do I feel about that. I am not sure that I would have made it a trilogy because I feel the plot would have suited a duet just fine for several reasons that would give to many spoilers if I tried to explain them. Also the “tone” that was set in the first book changed dramatically in the second, the third book was following the second when it came to that. What do I think about that change in tone? Well I am not sure – both of the ways the story was brought to the reader were fine but I preferred the first one. And for a trilogy I think you should only use one so there is that. The third installment of this series did not disappoint. The story of Jameson and Sophia is heartbreakingly beautiful. The conclusion of the story was exactly what I was waiting for. From the mysteries surrounding the first book, to the unraveling in the second book, to the tortured past that brought them together in the final book, this story took me on such a journey. The way that Jameson became Sophia’s protector, friend, and love was written so wonderfully. Sometimes with Sophia’s character I The third installment of this series did not disappoint. The story of Jameson and Sophia is heartbreakingly beautiful. The conclusion of the story was exactly what I was waiting for. The way that Jameson became Sophia’s protector, friend, and love was written so wonderfully. Sometimes with Sophia’s character I was hoping that she would become stronger, but I think that would have taken away from Jameson’s character, so it was a double edge sword for me. Throughout the entire series I loved the cast of characters and how they all fit into the story. You never knew what was going to happen and who was going to be involved in what. I never want to give to much of the story away but if you love stories of damages souls who need protecting, love, heartbreak, a bit of mystery, and a game of second guessing what is really going to happen I would highly recommend this author. Fiona Keane’s writing is excellent. This story is spread across three books; however, I fully believe the three books were needed to tell the complete story. I am looking forward to Fiona’s next read! This is Book #3 in the Foundlings series. This book started right where Book #2 2 left off. This book was wow! So many emotions. Both Sophia and Jameson have gone through so much. Each are torn from their lives as they know it in order to stay alive. What is one to do in that position? Run for your lives. I kept thinking of Sophia's aunt, who had no idea of the man she is in love with. I wished there was her side of everything. How she felt when Sophia ran away? What she was told by Simon? How she felt when Sophia never returned? Recommend this book? Yes! Author? Yes! Read more from this author? Yes! This is book three in a series and the first two books MUST be read prior. Jameson...What is there to NOT love about him? Always so protective of Sophia!! Gosh, I loved how much he loved her!!! Their lives were NOT easy. Going through all the trauma they'd been through and then having to be constantly looking over their shoulders? Yeah, I agree with everything they did! Loved their relationship SO much! Their love was pure, deep, and one that would withstand anything! I am so glad I discovered t This is book three in a series and the first two books MUST be read prior. I am so glad I discovered this author! I will buy and read anything she publishes! She's become a top fave author of mine, for sure! Super excited to see what new adventure she has for us! This is Book 3 of the Foundlings series and I have to say I love it just as much as book 1 and 2. You must read all three in order. Jameson and Sophia have an amazing story. They both have gone through so much at such a young age. Book 3 shows you how much they deserve each other and how good they are for each other. Jameson’s strengths amazes me. Sophia May come off as weak but she has more courage than anyone at that age can have. I don’t want to spoil the book so all I can say is that this is This is Book 3 of the Foundlings series and I have to say I love it just as much as book 1 and 2. You must read all three in order. I don’t want to spoil the book so all I can say is that this is a must read. I can’t wait to see what else Fiona Keane writes. 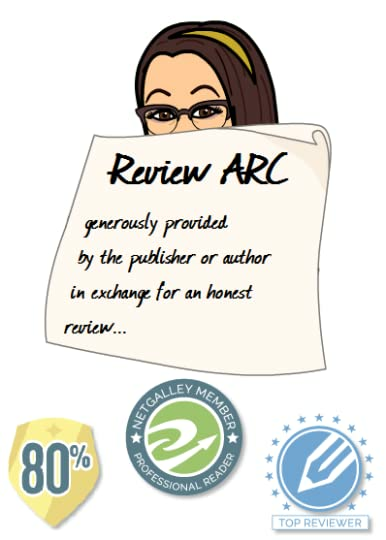 Received an ARC at no cost to author..I appreciated that Jameson and Sophia were still connected as they were from the start, and even though things (nope wont tell you) happened and they went thru life changing situations that no one especially teens should have to deal with. Yet they showed their loyalty to each other, he protected Sophia and she became his. I did feel as if even though we got an ending that there is more to come, and I really hope so.. Enjoy! I do recommend this series to anyone who likes deep raw emotional reads! Oh wow, following the journey of Sophia and Jameson has been absolutely amazing! In the conclusion to that journey, your once again held enthralled from the first page. You wonder how two people can endure so much, but so happy they have had each other throughout. I can't say enough about this series, you need to read them for yourself pronto. I can't believe this series has come to an end. I loved Jameson and Sophia's love story. All of the books are absolutely amazing and keeps u wanting more. I'm just sad that there story is over but glad they had a happy ending . Oh where does one begin in this series? When I first jumped into the Young Adult book world I was a skeptic. I didn't think I would connect with these characters. Oh what I wrong. Sophia and Jackson have this connection that is strong and maybe old souls finally connecting. In book 1 Nowhere Girl-Foundlings - Sophia struggles with the loss of her mom and now a new life in Florida. She is struggling to feel alive and when she meets Jackson it changes everything for her. He is her strength but is Oh where does one begin in this series? When I first jumped into the Young Adult book world I was a skeptic. I didn't think I would connect with these characters. Oh what I wrong. Sophia and Jackson have this connection that is strong and maybe old souls finally connecting. In book 1 Nowhere Girl-Foundlings - Sophia struggles with the loss of her mom and now a new life in Florida. She is struggling to feel alive and when she meets Jackson it changes everything for her. He is her strength but is it enough for both of them. So in book 2 Everywhere Unraveled Foundlings- Jackson is doing everything he can to protect Sophia, to help her with her loss and feeling alone. But things happen that they have no control over and they have to fight for their time together. Well damn now we are at book 3!!! Somewhere Bound Foundlings. This on right here is both of them being so strong for each that it a must for them. Things come to light about both their pasts and what dangers come. Sophia is able to be Jackson's rock, his strength as he fights with his emotions of his past and now looking at their future on the run to Canada. Jackson knows he needs to guide Sophia from the past and help her overcome the feeling alone. They have this deep soul connection that each breathe is needed to survive. Sophia and Jameson escape Florida to be free of Simon. They are making up their plans along the way, but they keep getting impeded by trackers and other issues. Simon seems determined to finish off Jameson, but Jameson is equally determined not to leave Sophia. He wants to marry her, if they ever get out of this situation. Sophia is devoted to him, but she is struggling to escape the memories of her past. Jameson wants her to have closure before they move on to the rest of their life. I felt that Sophia and Jameson escape Florida to be free of Simon. They are making up their plans along the way, but they keep getting impeded by trackers and other issues. Simon seems determined to finish off Jameson, but Jameson is equally determined not to leave Sophia. He wants to marry her, if they ever get out of this situation. Sophia is devoted to him, but she is struggling to escape the memories of her past. Jameson wants her to have closure before they move on to the rest of their life. I felt that the way this trilogy ended is perfect. I finally got to experience Sophia and Jameson getting to their final stage of their relationship where they trust each other with everything. I love the fact that I have been here for the ride since the beginning, so I feel as if I have seen each character's growth. It also felt special to see them gain closure over their pasts, somewhat, and move into their futures. Sophia has grown from a girl who was incapacitated by her panic attacks into a girl who has control over her past and herself. Jameson has grown from a boy who constantly ran from his past, into forgiving himself while opening his hear to another. I was so proud of the both of them by the end of this story. I would recommend this trilogy to anyone looking for a YA mystery-suspense-romance novel with characters who actually grow and learn from each other. More questions were answered. And I really like Jamison and how strong he is for Sophia. They are both dealing with a lot and twists that follow them on their new beginnings. I gave it 4 stars because I thought the ending was abrupt, there is not a mention of a fourth book. I’ll have to go look. I wasn’t ready for this book to end but it stayed as good as the first one, jus the ending came to quick. I thinking the ending was sudden, but I enjoyed the book immensely! Great series! These were a fantastic read. Couldn't out then down. Needed to know what happened next. The ending has left me frustrated with so many unanswered questions. I'm really torn on how I feel about Somewhere Bound, Foundlings series book 3. I sucked up Nowhere Girl like there was no tomorrow. I fell in love with Jameson and Sophia and couldn't wait to see where the story took them. Book #2 felt like a lot of unnecessary filler, but there were some great moments that propelled the story further. I was so anxious to dive into #3... and I finished it feeling a little cheated. 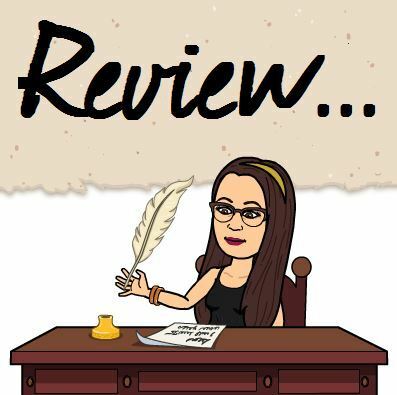 Jameson and Sophia are still as connected as ever, and the events of their pasts ha I'm really torn on how I feel about Somewhere Bound, Foundlings series book 3. I sucked up Nowhere Girl like there was no tomorrow. I fell in love with Jameson and Sophia and couldn't wait to see where the story took them. Book #2 felt like a lot of unnecessary filler, but there were some great moments that propelled the story further. I was so anxious to dive into #3... and I finished it feeling a little cheated. Jameson and Sophia are still as connected as ever, and the events of their pasts have changed their present in a way that no teenager should be forced to deal with. Yet through it all, Jameson remains as protective of Sophia as ever, and she even gets the chance to play protector of him once or twice. But I was expecting more from Somewhere Bound in terms of resolving Jameson and Sophia's story, and I didn't get that. So overall, I give Somewhere Bound 3.5 stars. I think this trilogy easily could have been made a duet, and I was left feeling like the story just ended when there were so many more questions/loose ends that needed further explanation or clarification. That easily could have been taken care of in an epilogue set years later. I suppose the door is open for more to come with Jameson and Sophia, but I didn't get the tied-up-with-a-bow ending that I expected going into Nowhere Girl knowing that this was a three-book series.